A single droplet of fine cut glass forms a pretty focal point between arching curves finished in Dark Bronze or Polished Nickel. Simplistic yet impressive topped with a large soft cream fabric shade - pair it with matching wall lights to bring your design scheme together beautifully. Also available finished in Polished Nickel. 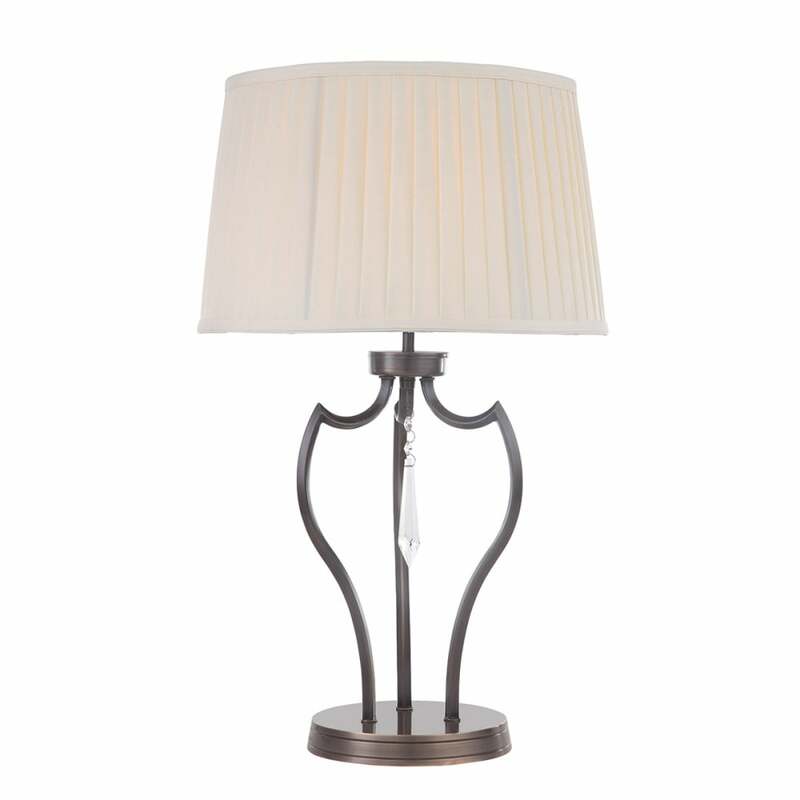 Table lamps, chandeliers and wall lights are available in this collection. View All Elstead Lighting for more information on Pimlico or view the complete Pimlico Collection.